We’d love your help. 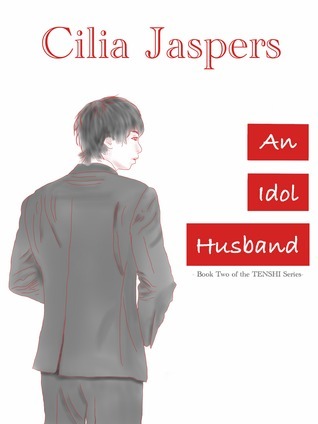 Let us know what’s wrong with this preview of An Idol Husband by Cilia Jaspers. Bethany Danae doesn’t have a whole lot of luck. She has lost more jobs than she can count. She’s fallen into more tough spots than she cares to remember. But, possibly the worst of all, Bethany has been unable to break her 3-Date Curse–no man in her life lasts past the third date, no exceptions. When Bethany loses yet another job, her therapist tells her she should think a Bethany Danae doesn’t have a whole lot of luck. She has lost more jobs than she can count. She’s fallen into more tough spots than she cares to remember. But, possibly the worst of all, Bethany has been unable to break her 3-Date Curse–no man in her life lasts past the third date, no exceptions. When Bethany loses yet another job, her therapist tells her she should think about starting over somewhere new to be more independent from her family. Bethany takes the suggestion and runs a mile with it, instantly deciding to head for Taiwan and her best friend, Eloise. Her best friend Eloise is about to be married…to a Japanese Idol. It’s Bethany’s job to work with the best man to help arrange the wedding in Japan. To ask other readers questions about An Idol Husband, please sign up. Idol Husband, the second book in the Tenshi series, picks up where the first one ends and succeeds in engaging the reader and delivering a quality read for time well spent. While each book can be read as a stand-alone, there is enough of the first hero and heroine that an understanding of how their relationship came to be is helpful to this new story. Picking up where the first one ended, Idol Husband follows Bethany in her attempt to gain control of her spiralling life, an attempt that has her m Idol Husband, the second book in the Tenshi series, picks up where the first one ends and succeeds in engaging the reader and delivering a quality read for time well spent. While each book can be read as a stand-alone, there is enough of the first hero and heroine that an understanding of how their relationship came to be is helpful to this new story. Picking up where the first one ended, Idol Husband follows Bethany in her attempt to gain control of her spiralling life, an attempt that has her moving to Taiwan and away from her family’s suffocating sympathy and understanding. It was through her friend Eloise, heroine of the first novel, How to Date Japanese Idols, that she meets Sano, a member of the Japanese boy band Tenshi and co-worker/friend/ adopted brother of Gakino, hero to Eloise. Both Bethany and Sano’s voices ring true and consistent throughout the entire story and her lines of dialogue and thought had me laughing out loud and sharing the lines with friends. Their physical attraction is clear from the beginning and in conjunction with their individual insecurities understandably evolves into a large obstacle, one that is very fun to read them overcome. As the read continues, the attraction becomes deeper and the reader is drawn into a deeper understanding of that attraction as well; it surpasses the physicality of lust as it becomes clear that Sano represents the confidence and ability Bethany always wished to have while she represents the freedom he has never had and never realised he desired until meeting her. Together they work towards a happy medium while learning to accept the things about themselves the other loves. I read and enjoyed the first book in the series, but I liked this one more. I found the characters better developed, had stronger voices and the flow of the writing more fluid; this improvement was carried over into the original hero and heroine, increasing my appreciation of their relationship in this book. Cilia Jaspers, a writing duo, has improved in her technique of managing the different author voices, making a more seamless story that had me surprised when remembering that it was actually two different people writing. By the last few chapters, my mind was guessing at who the focus of the next book would be and becoming eager to find out. I will definitely be anticipating Book Three. I strongly recommend this book, giving it four out of five stars. Once again, Cilia Jaspers has sucked me into another fantastic Idol romance that leaves me wondering who will be next! FIEND! Our heroine Bethany has always been co-dependent and flighty so when she makes the decision to drop everything, pack up, and move to Taiwan to start a bakery and live near her friend Eloise (on her therapists suggestion) her family isn't thrilled. Our Hero Sano has an overbearing B-**** of a mother (I'm sorry but she was) and has ideas of his ideal woman that have everyth Once again, Cilia Jaspers has sucked me into another fantastic Idol romance that leaves me wondering who will be next! FIEND! Our Hero Sano has an overbearing B-**** of a mother (I'm sorry but she was) and has ideas of his ideal woman that have everything to do with dependable and together...until he meets Bethany! Cilia Jasper's writing is filled with quirky hilarity that will make you laugh out loud and fall in love with the Tenshi Band. All of the boys (Gaki, Shun, Ryo, and Hiro) are there to be a PITA or a shoulder to lean on and I just love their personalities and dynamic. This story was especially touching because of the big challenge these two face and the interactions as they fall deeper in love are majorly sigh-worthy. The Tenshi series is co-authored by J. W. Ashley and April Oglesbee and will ultimately be published under the pen name Cilia Jaspers (a mix of the letters in our first names: Jessica and April–pretty cute, right?!). Every week, on Monday, beginning April 1, a new chapter will be available on Books with Benefits for free! J.W. Ashley and April O. live in Taiwan. When they’re not writing novels or b The Tenshi series is co-authored by J. W. Ashley and April Oglesbee and will ultimately be published under the pen name Cilia Jaspers (a mix of the letters in our first names: Jessica and April–pretty cute, right?!). Every week, on Monday, beginning April 1, a new chapter will be available on Books with Benefits for free! J.W. Ashley and April O. live in Taiwan. When they’re not writing novels or blogging, they teach, scoot around the city, shop, and find new ways to be pleased about life. J. W. is constantly clicking away on her keyboard, sipping green tea, and eating chocolate covered almonds. April, on the other hand, bakes cookies, balances work and life, and does tree poses. After earning their Master’s Degrees in English Literature, J.W. and April decided to pursue their true love: H.E.A.’s. The first book in JW’s paranormal series Into The Woods was released in October through F+W Media imprint Crimson Romance. JW Ashley (known to her friends as Jessica Wise) worked with the folks over at TED-Ed to create a video about How Fiction Can Change Reality, which was recently featured on Upworthy. April is also currently working with her business partner, Amber Gibbs, on their publishing and publicity business, BWB Press, to aid independent and self-published authors (as well as traditionally published authors) with their writing and publishing goals. The first novel in the series, How to Date Japanese Idols, will be available September 2013! In January 2013, they began a YouTube series called Romance in Real Life: 100 Days of Romance Therapy.